Tiger eye pendant necklace by London jewellery designer, Amor Fati. 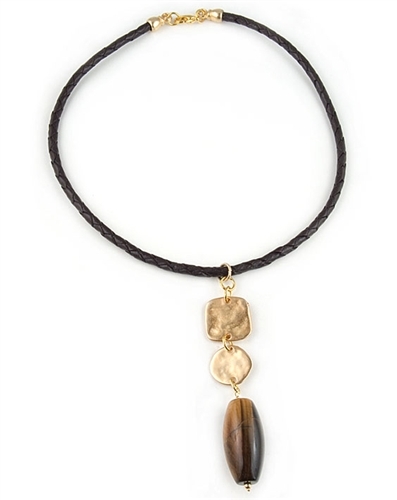 This fabulous designer necklace features a stylish brown leather braided cord, two 18 karat gold platted brass beads and a 35x16mm tiger eye bead. Necklace measures 46cm (18") and fastens with a lobster clasp. Pendant drops 10.5cm (4.2").